100 Days ’til the XXI Olympic Winter Games! It’s tough to tell in this photo, but there’s a pear embroidered on this guy’s cap, and that’s because USA Pears is an official headgear sponsor of Olympic athlete Torin Koos. In 100 days, he’ll be in Vancouver, B.C. to cross-country ski his heart out for the gold! 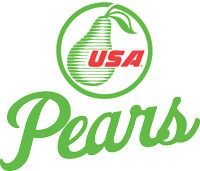 Torin grew up in Leavenworth, Washington, which is located in the Wenatchee growing district that’s world famous for pears. Click here to read an interview where Torin professes his love for skiing and pears, and here to read an article posted today on NBCOlympics.com, where Torin talks about his sport and the upcoming winter games. Check back for more updates on Torin’s quest for the gold! This entry was posted in Events and tagged athlete, Jenny, pears, Torin Koos by Jenny. Bookmark the permalink.